He was happy to see the thing again, though in the first few minutes he said he didn’t think he’d ever seen the film. My fondness for the piece, and for Damon Runyon’s stories, goes back (too many) decades to a production of the play by the Utah Valley Opera Society. They hired our high school drama director, David Larson, to direct. On a lark I auditioned, telling them I couldn’t really sing or dance, and ended up with a lot of lines in a couple of supporting roles, and singing and dancing both in the chorus. When my father-in-law joined in the movie chorus of “Fugue for Tinhorns,” I knew we had a good couple of hours. We laughed, watched, reminisced, and sang along. Damon Runyon could tell stories, true stories about real people. Sometimes the names were changed to protect the innocent, or the guilty; sometimes the real names were more entertaining than the fictional names Runyon invented. Some time ago I stumbled across the story of Runyon’s son, Damon Runyon, Jr., using an early airplane to spread the playwright’s ashes. It’s a story Runyon would have appreciated. 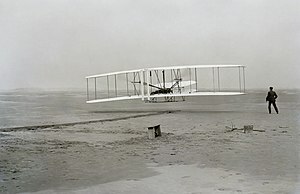 It’s appropriate for the day after the anniversary of the Wrights’ first flight; December 18 is the anniversary of the event. On December 17, Orville and Wilbur Wright got their heavier-than-air flying contraption to actually fly with motor driving it along. On December 18, Damon Runyon, Jr., got Eddie Rickenbacker to fly over Broadway to scatter the ashes of his father, Damon Runyon. First Lieutenant E. V. [Eddie] Rickenbacker, 94th Aero Squadron, American ace, standing up in his Spad plane. Near Rembercourt, France. Photo from Wikipedia. This photo dates near World War I; Rickenbacker remained a hero for a couple of decades. In 1946, he flew a DC-3 over New York City, and illegally scattered the ashes of raconteur Damon Runyon over his beloved Broadwary. Not exactly the next day. 43 years and one day apart. The Wrights first flew in 1903; Runyon died in 1946. On this day in 1946 Damon Runyon’s ashes were scattered over Broadway by his son, in a plane flown by Eddie Rickenbacker. Runyon was born in Manhattan, Kansas; he arrived at the bigger apple at the age of thirty, to be a sportswriter and to try out at Mindy’s and the Stork Club and any betting window available his crap-shoot worldview: “All of life is six to five against.” Broadway became his special beat, and in story collections like Guys and Dolls he developed the colorful characters — Harry the Horse, the Lemon Drop Kid, Last Card Louie — and the gangster patois that would swept America throughout the thirties and forties. A lot of history packed in there. Runyon’s early reportorial career included a lot of that history — he wrote the lead story for United Press on the inauguration of Franklin Roosevelt, for one example. Runyon found a uniquely American vein of literary ore on Broadway in New York City, and in the ne’er-do-wells, swells, tarts and reformers who flocked to the City that Never Sleeps to seek fame, or fortune, or swindle that fortune from someone else. As a reporter and essayist, he smoked a lot. Throat cancer robbed him, first of his voice, then his life at 56. Runyon’s ashes were spread illegally over Broadway, from a DC-3 piloted by Rickenbacker. Runyon would have liked that. Runyon got fame first as a sports writer. He was inducted into the writer’s wing of the Baseball Hall of Fame in 1967. Just as Chandler fans must be grateful for Bogart, Runyon fans have to be perpetually happy that the pure idea of Runyon, almost independent of his actual writings, produced the best of all New York musicals: Frank Loesser’s “Guys and Dolls,” which made its début in 1950 and is just now reopening on Broadway in a lavish and energetic new production. But then “Guys and Dolls” is so good that it can triumph over amateur players and high-school longueurs and could probably be a hit put on by a company of trained dolphins in checked suits with a chorus of girl penguins. Your author here, Dear Reader, was once one of those trained dolphins. It was magnificent. Wikipedia description: Standing sixty feet (18.3 meters) tall and perched atop a ninety foot (27.4 meters) stabilized sand dune known as Kill Devil Hill, this monument towers over Wright Brothers National Memorial Park in Kill Devil Hills, NC. The park commemorates and preserves the site where the Wright brothers launched the world’s first successful sustained, powered flights in a heavier-than-air machine. The inscription that wraps around the base of the monument states “In commemoration of the conquest of the air by the brothers Wilbur and Orville Wright. Conceived by genius, achieved by dauntless resolution and unconquerable faith.” Photo by Ken Thomas, taken with a Panasonic Lumix DMC-FZ50 in Dare County, NC, USA. At this site, on December 17, 1903, Wilbur and Orville Wright first achieved flight in a heavier-than-air machine. “Surly bonds of Earth” refers to that poem written by the Canadian pilot, popular with the Air Force and almost every pilot I’ve ever known, “High Flight” by John Gillespie Magee, Jr. I am unaware of any proclamation for flag flying today, but you could have, had you wanted to and had you known. Does North Carolina celebrate North Carolina statehood in 2018? U.S. flag flies in one spot in North Carolina on statehood day, we can be quite sure. Photo at Chimney Rock State Park, outside of Asheville, North Carolina, near U.S. Highway 64/74A, on the Rocky Broad River. History.com image. We wonder: Does anyone in North Carolina celebrate North Carolina’s statehood? Newspapers, television and radio, and other media do not note much celebration, planned or otherwise. Do North Carolinians fly their U.S. flags on November 21, for statehood day? North Carolina became the 12th state, ratifying the Constitution on November 21, 1789. If you’re in North Carolina, do you fly your flag on Statehood Day? U.S. 25-cent piece commemorating North Carolina, in the series honoring all 50 states. 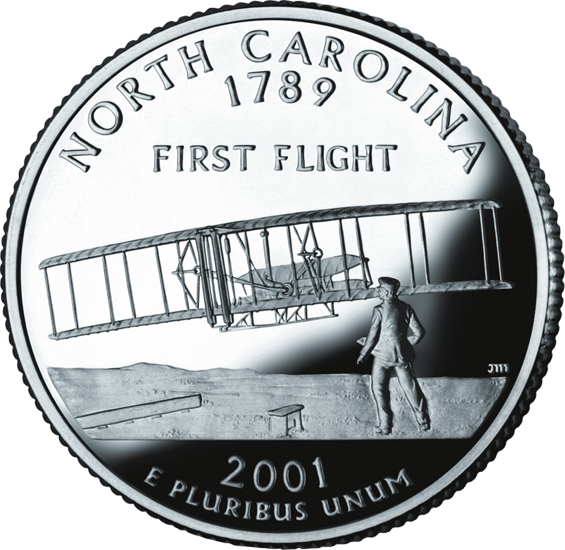 The design follows John T. Daniels’s iconic photo of the first well-documented heavier-than-air flying machine flight, by the Wright Brothers, at Kittyhawk, North Carolina, in 1903. National Aviation Day 2018! Fly those flags and fly those airplanes! August 19 is National Aviation Day. In federal law, the day is designated for flying the flag (36 USC 1 § 118). August 19 is the anniversary of the birth of Orville Wright, usually credited with being on the team with his brother Wilbur who successfully built and flew the first heavier-than-air flying machine. Celebrate? The White House issued no proclamation for 2018. but you may fly your flag anyway. Did anybody celebrate North Carolina statehood? U.S. flag flew in at least one spot in North Carolina on statehood day, November 21, 2017. Photo at Chimney Rock State Park, outside of Asheville, North Carolina, near U.S. Highway 64/74A, on the Rocky Broad River. History.com image. 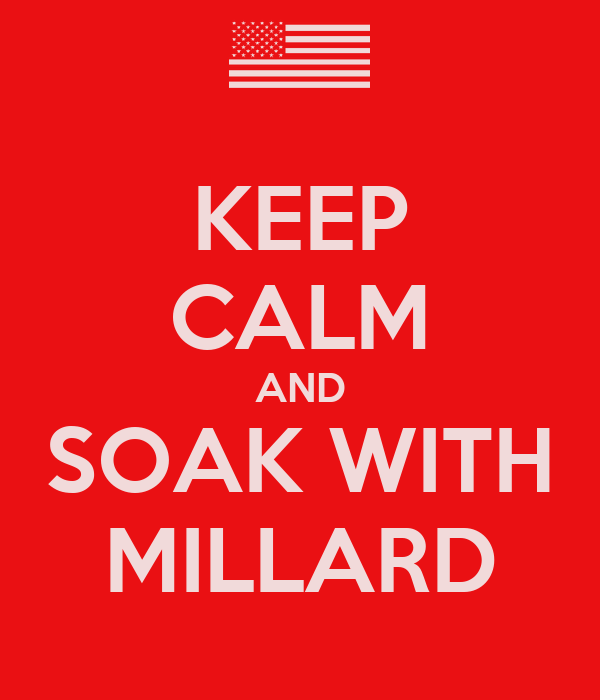 Staff at Millard Fillmore’s Bathtub do not always stay ahead of flag flying days. November 21 is North Carolina’s statehood day, and MFB missed noting that earlier. Looking back, we wonder: Does anyone in North Carolina celebrate North Carolina’s statehood? 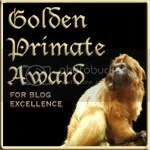 Newspapers, television and radio, and other media did not note any celebration, if it occurred. Do North Carolinians fly their U.S. flags on November 21, for statehood day? If you’re in North Carolina, did you fly your flag on Statehood Day? Ten feet in altitude, 120 feet traveled, 12 seconds long. That was the first flight in a heavier-than-air machine achieved by Orville and Wilbur Wright of Dayton, Ohio, at Kittyhawk, North Carolina, on December 17, 1903. 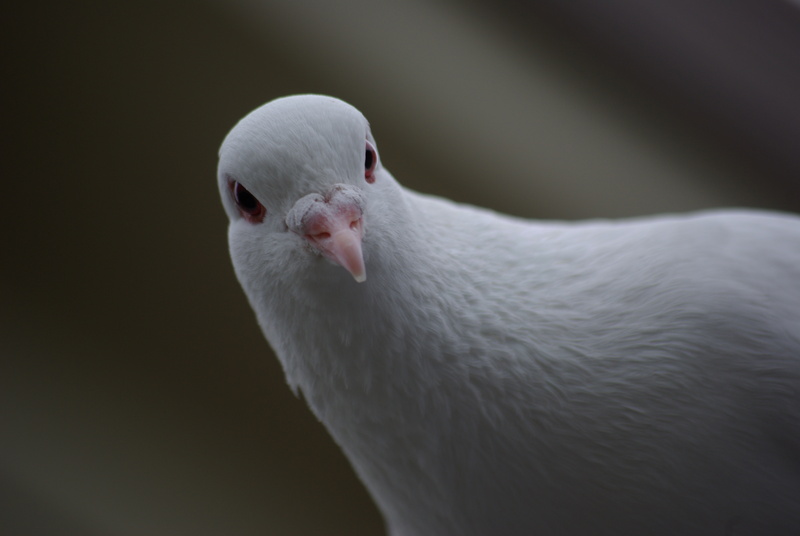 Few witnesses observed the flight. Though the brothers Wright fully understood the potential of the machine they had created, even they waited before revealing to their supporters, and then the world, what they had accomplished. Critics complain others achieved flight in a heavier-than-air machine before the Wrights. There are stories of flights in Texas, Connecticut, and France. If anyone achieved flight before the Wrights, the Wrights did a much better job of recording their achievement, and promoting it afterward. In the end, the Wrights left a legacy of flight research conducted in classic science, with careful records, a lot of experiments and observations, and publication of results. On the morning of December 17, 1903, Wilbur and Orville Wright took turns piloting and monitoring their flying machine in Kill Devil Hills, North Carolina. 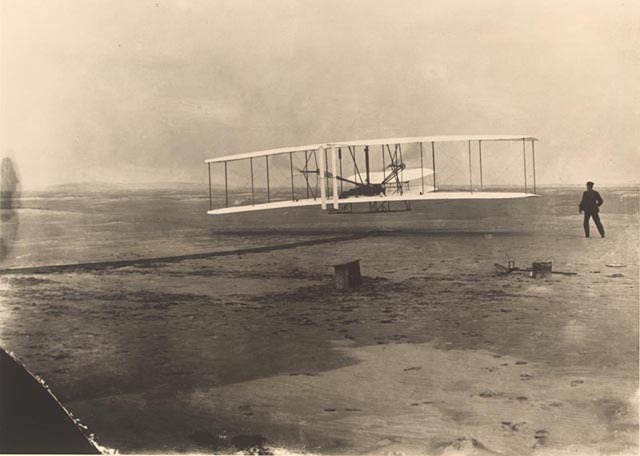 Orville piloted the first flight that lasted just twelve seconds. On the fourth and final flight of the day, Wilbur traveled 852 feet, remaining airborne for 57 seconds. That morning the brothers became the first people to demonstrate sustained flight of a heavier-than-air machine under the complete control of the pilot. No lost luggage, no coffee, no tea, no meal in a basket, either. No ATC (Air Traffic Control) delays. Neither brother endured a TSA screening. Again, this is mostly an encore post. Fighting ignorance requires patience. You are currently browsing the archives for the Airplanes category.